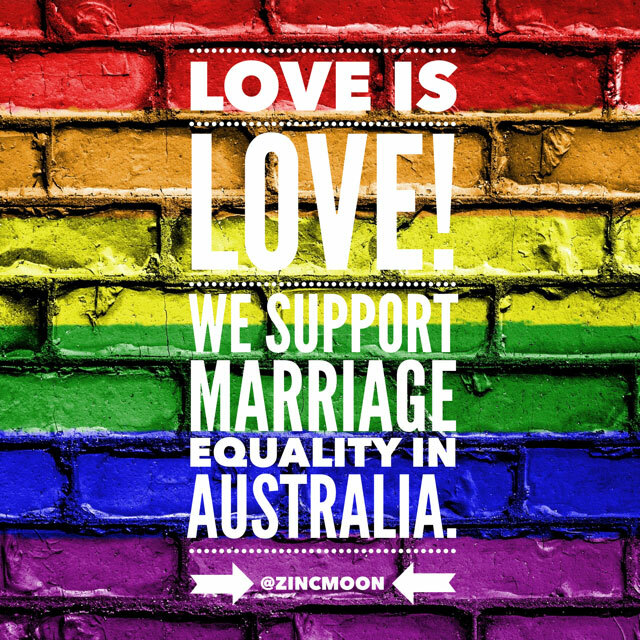 This weekend, we came across something we have never experienced before. 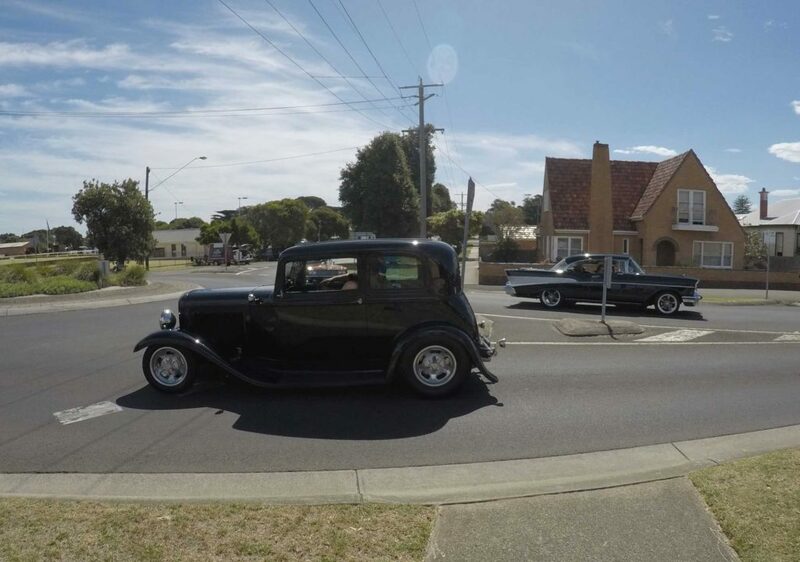 By chance, we discovered the Queenscliff Rod Run 2017, which is held annually by the Geelong Street Rodders! We have been to car shows before…I adore vintage cars…but have never seen anything like this. 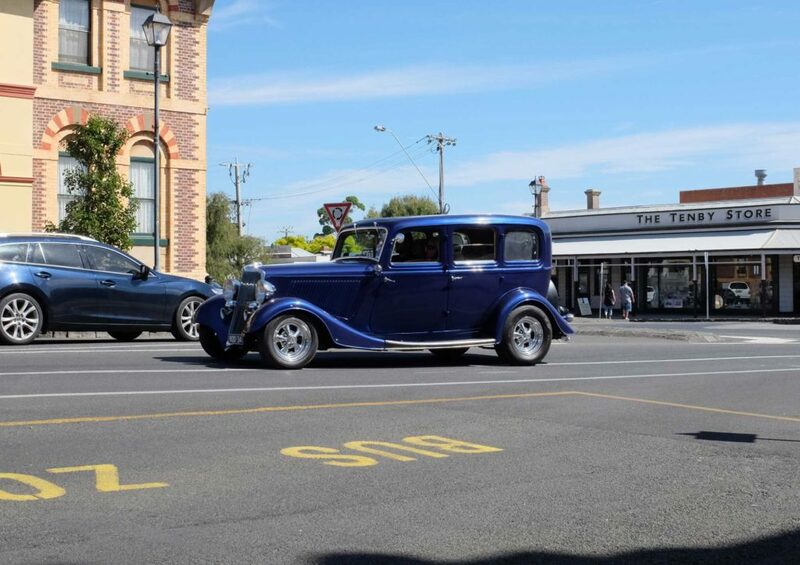 Queenscliff is a small coastal town on the Bellarine Peninsula…it is usually pretty quiet, although it can get busy during the summer holidays. But when hundreds of gleaming….or perfectly rusted…vehicles roll into town, the joint is jumping! 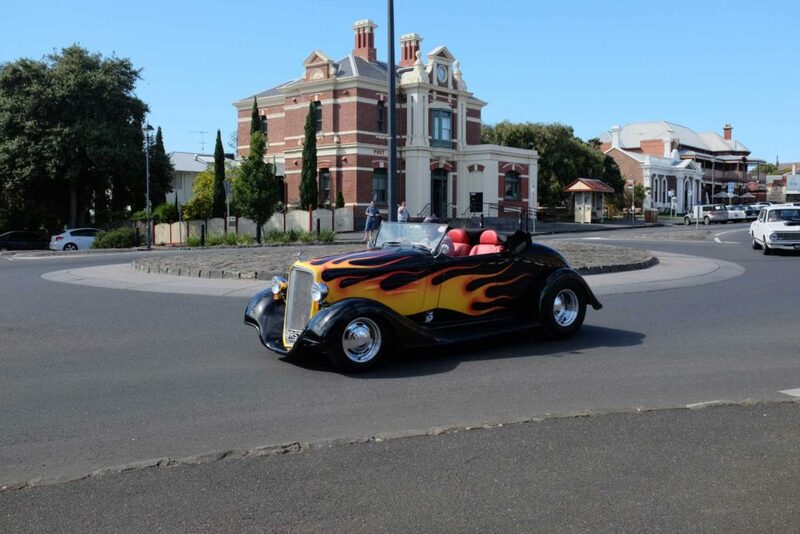 We first noticed something was happening when hot rods started appearing on the local roads…they are not exactly quiet. And being the rev head that I am, I get drawn to that v8 sound…so had to find out what was happening. 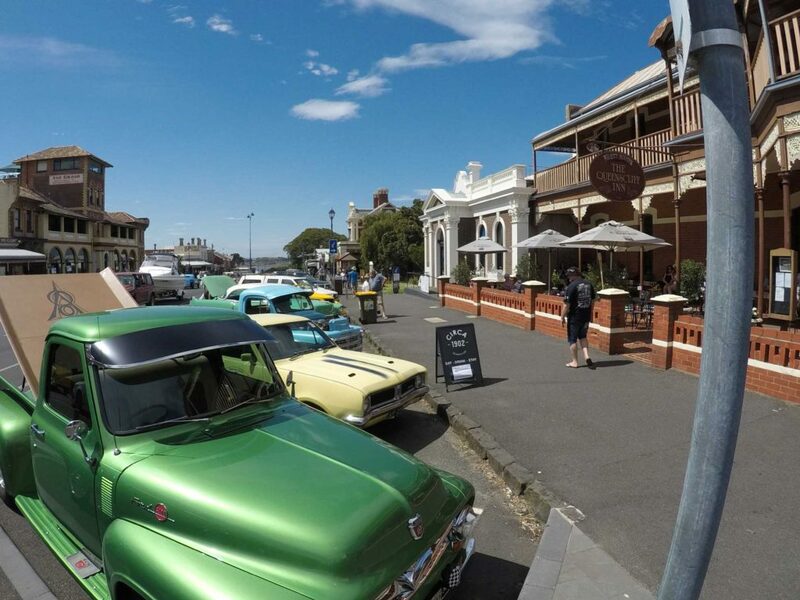 We followed the noise and discovered the main drag in Queenscliff had become a concourse. Car after car drove through the town, before looping around and doing it again…and again…before finding a spot to carefully park. We did feel a little out of place initially as it did feel like we had come across a Harley convention…long beards and a taste for beer seemed essential…but everyone was friendly and happy. The sun was shining, the cars were amazing and the vibe was great! And even though we were there well before the main activities began, people had already set up their chairs along the street to watch…some even set up tents and BBQs. We had the furkid with us who loved all the attention she got, but it was getting a bit hot so we took her home. 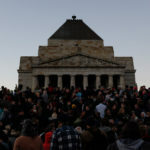 However, we decided to return to the organised chaos a few hours later as we wanted to see more. 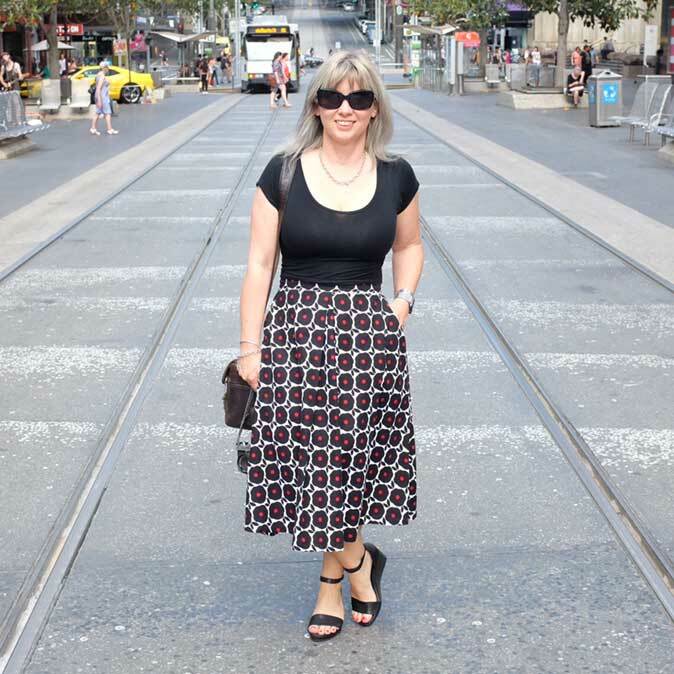 It was all just fantastic…and makes me want a vintage car even more!! Or maybe this one…a girl can dream, can’t she? 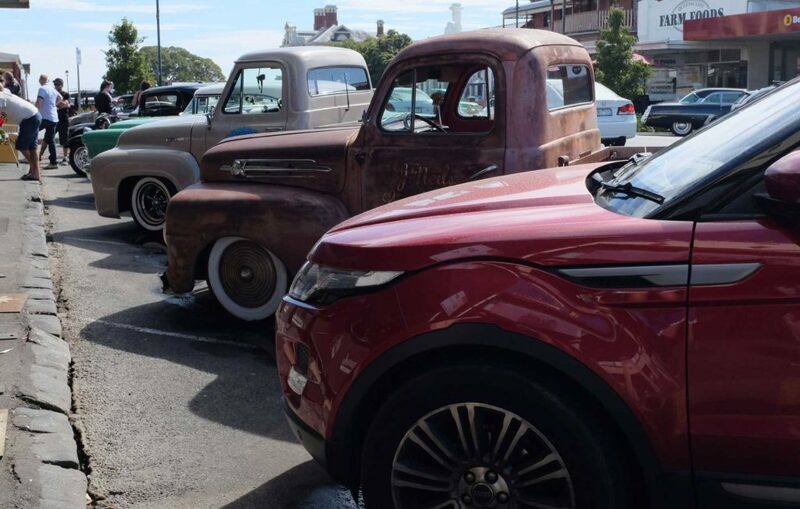 Sadly we couldn’t stay for the formalities, nor the car show the day after, but we thoroughly enjoyed our first experience of the Geelong Hot Rodders community! Do you have a Hot Rod or a vintage car? 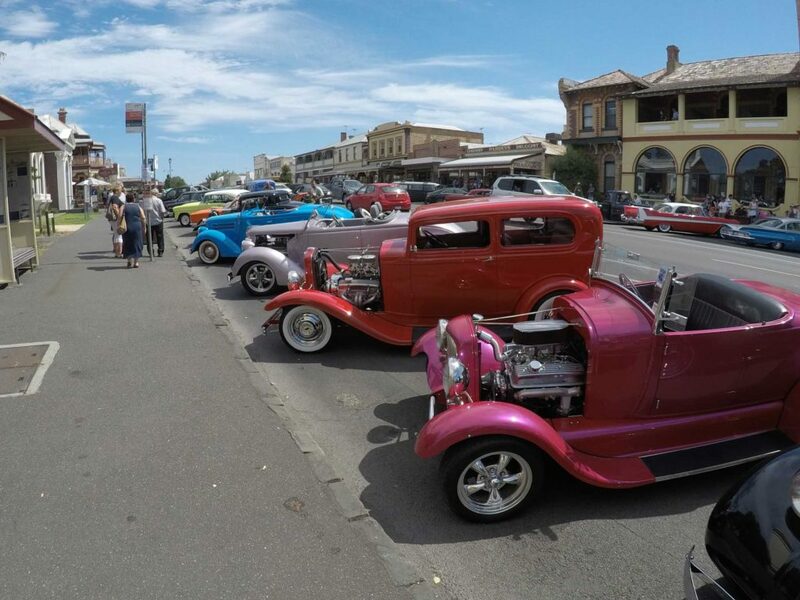 Were you at the Queenscliff Rod Run? I had an AWESOME weekend at the ROD RUN. Rosie and The Mighty Kings are a topnotch band. Cant wait for next year. We will definitely aim to go again next year too! Did you have a car in the Cruise? 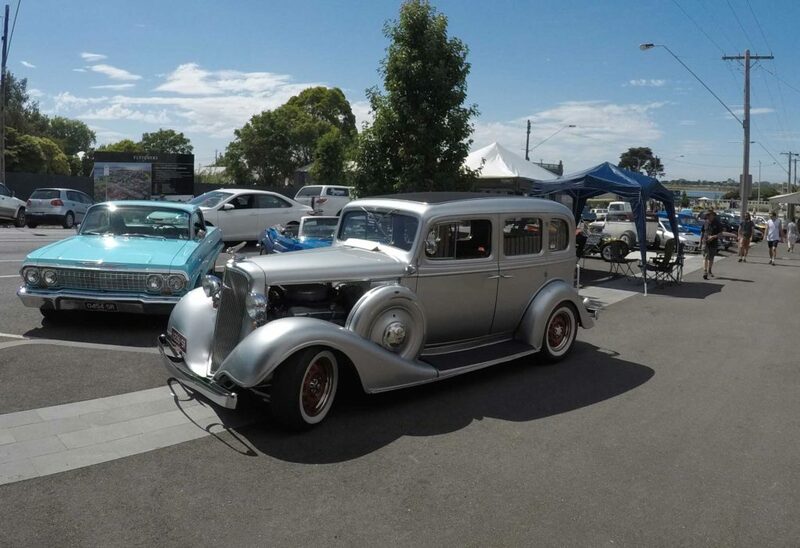 I saw a Hot Rod show like this at Phillip Island a year ago and it was amazing to see all those cool cars. I also loved seeing the retro outfits on so many of the ladies.